11-day summer program. Open to the general public. Innovative drumming programs for students and educators. Learn traditional music and dance in Ghana. Hands-on drumming for students and teachers. Learn about West African music and culture. Handmade African drums, bells, rattles and more. Ranked the #1 summer study abroad program. 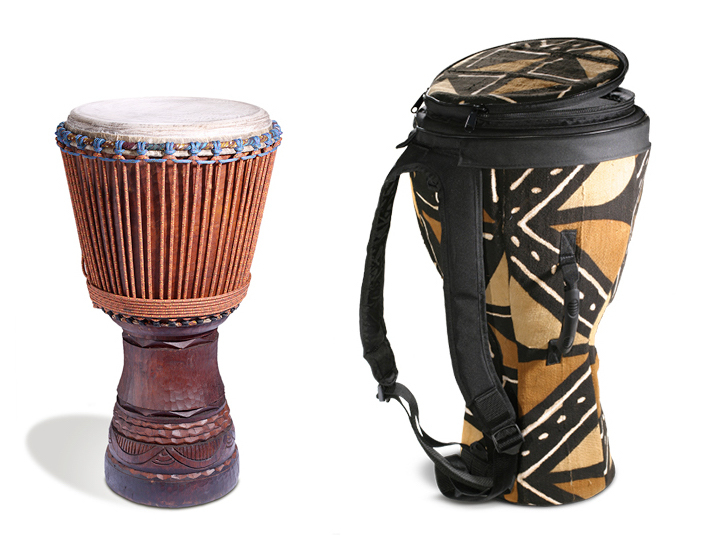 We offer a select line of imported African instruments, including traditional drums, xylophones, bells, gourd rattles and more, all handmade in West Africa. Check out our Great Grooves series! Listen to and play with all of our multitrack African drumming mixers — all totally interactive and FREE to use.